At the intersection of Yonge and Bloor streets, Johnson sees the Sandhill burial site of the Wendat and Mississauga Peoples, which in the early 1800s was buried beneath the rapidly growing city of Toronto. This was in stark contrast to the treatment of the remains of those of European descent buried in nearby Potters Field, Toronto’s first public, non-denominational cemetery. As the city encroached on that site, those remains were carefully disinterred and laid to rest in Mount Pleasant Cemetery and the Necropolis. 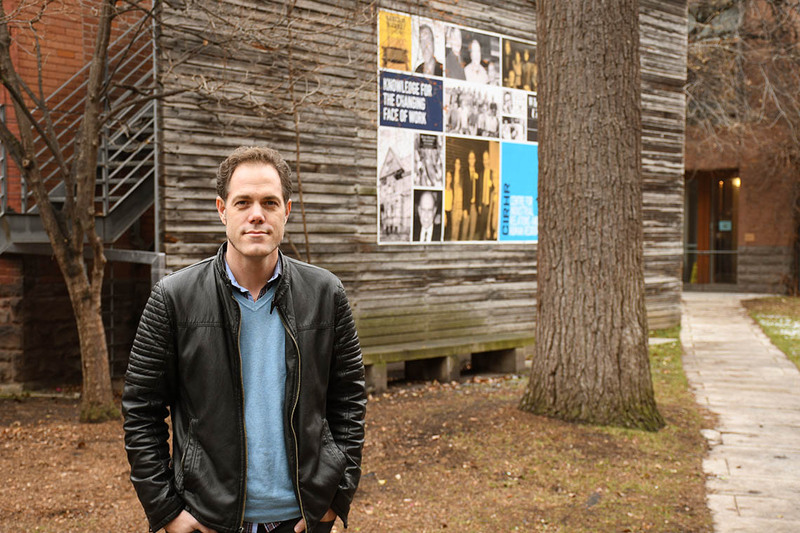 Johnson, an assistant professor, teaching stream, at Woodsworth College, sees the city through the lens of the Indigenous stories he has spent most of his career collecting, studying and sharing. They are part of his research into urban, land-based Indigenous knowledge – knowledge that includes not only stories, but also the ceremonies and practices of the people who live in the region that is now the GTA. Johnson is mostly of French Canadian descent, although he has a small amount of Haudenosaunee and Kichesipirini ancestry as well. He began learning and sharing these histories as a volunteer with the Great Indian Bus Tour, an initiative started by the Indigenous scholar and activist, Rodney Bobiwash. He also became involved in the Toronto Native Community History Project, a project that researches and preserves the Indigenous history of the city and which, over the years, evolved into First Story Toronto. He has even taken MPPs and their staff on walking tours of Queen's Park, where he reminds them that Taddle Creek once flowed on the site of the legislative building and was a vital home, source of food, and transportation route for the Mississauga. Johnson and his fellow storytellers reach even larger audiences through their First Story app and as content creators for the Driftscape app – both of which paint a powerful picture of millennia-old Toronto. The Baldwin Steps at the intersection of Davenport and Spadina roads: Davenport Road traces the trail that millennia ago connected Indigenous communities. The trail and others like it are sometimes collectively referred to as the Moccasin Telegraph for their importance as a communication network. It was an incredible archaeological find – evidence of the region’s first inhabitants. But, as with the Sandhill burial site, the footprints were not preserved and now lie at the bottom of the harbour, entombed in concrete.